We install uPVC bow & bay windows across… Warwick, Royal Leamington Spa, Kenilworth, Wellesbourne, Stratford-upon-Avon and Warwickshire. Choose from either a chamfered or sculptured uPVC profile for your bow and bay windows, which will ensure you can bring a personal touch to your windows. The chamfered styling is the ideal way for you to capture a smooth and sleek appearance that will work to bring a modern feel to your property. 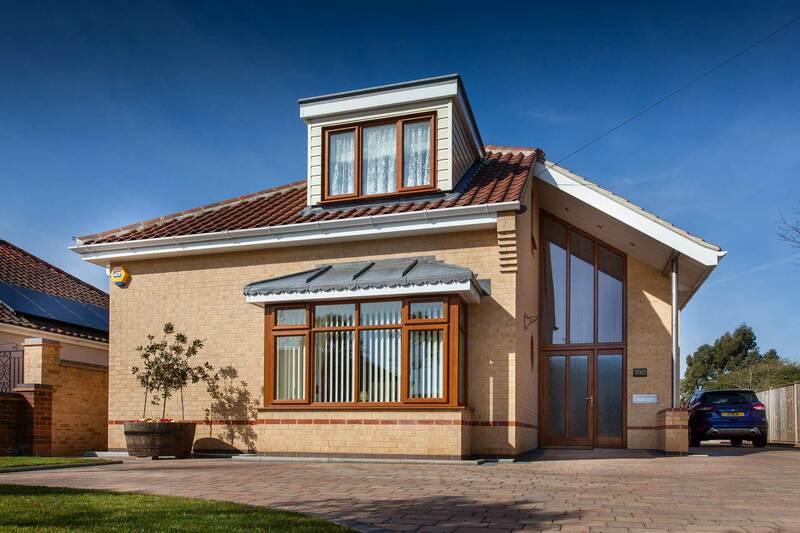 The optima sculptured profile features more of a traditional feel, which will serve as the ideal complement for new and old homes alike. 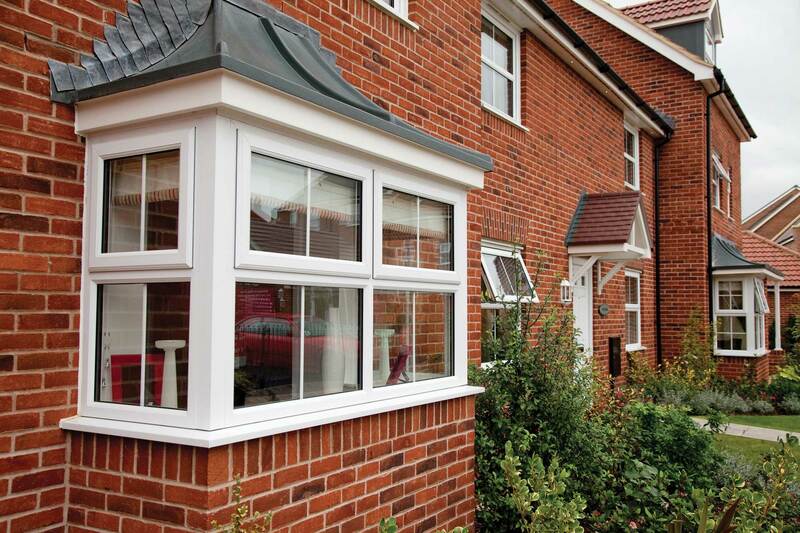 For your peace of mind, all of our bow and bay windows have been tested and assessed by Secured by Design. As a police-backed initiative, you can rest assured that the windows we are offering have undergone a stringent testing process that has been designed to combat modern burglary trends. With this in place, you’ll be able to protect your home to the standards of today without worrying about missing out on style. 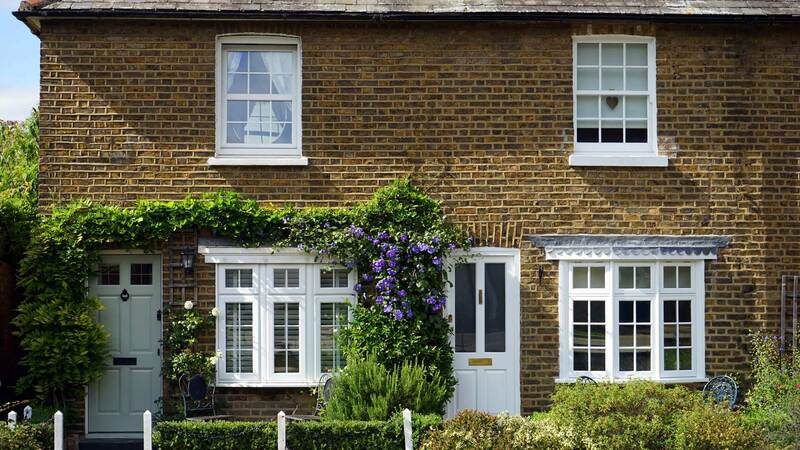 As a commitment to ensuring you get the best windows for your home, we offer a standard of bow and bay windows that achieve approval from the British Board of Agrément. With this in mind, you’ll be able to bring a standard of bow and bay window to your home that has been approved by one of the UK’s leading governing bodies on quality assurance which allow you to enjoy lasting quality long after their initial installation. uPVC bow and bay windows are able to offer you a sense of luxury and grandeur for your home, protruding from your property to offer an eye-catching and beautiful new addition to your property that is sure to catch the eye. Both designs specialise in a bright and spacious feel to any room that they are installed into, including panoramic views that are made possible by generous glazing areas and slim profiles. Bow windows offer a beautifully curved look that enables you to bring a traditional feel to any property, with the arched sash placement allowing you to enjoy the elegance of period appeal. Bay windows offer more of a contemporary feel with a rectangular shape, which enables you to use the space for more decorative or practical purposes to ensure you bring a multi-functional new addition to your property. All of our bow and bay windows are manufactured using a contemporary profile that utilises modern techniques to ensure leading standards of thermal efficiency are achieved. This is made possible by a multi-chambered frame that works to break up mini-convection currents and trap in pockets of warm air, combining with high-performance weather sealants to help increase the heat retention of your home: increasing comfort and potentially reducing your heating bills simultaneously. We know that you want to bring a market-leading standard of quality to your home that is achieved through a contemporary approach. All of our bow and bay windows are manufactured using a 100% recyclable uPVC profile that enables them to be recycled time and time again without causing any issues when it comes to structural integrity, appearance, or lifespan. 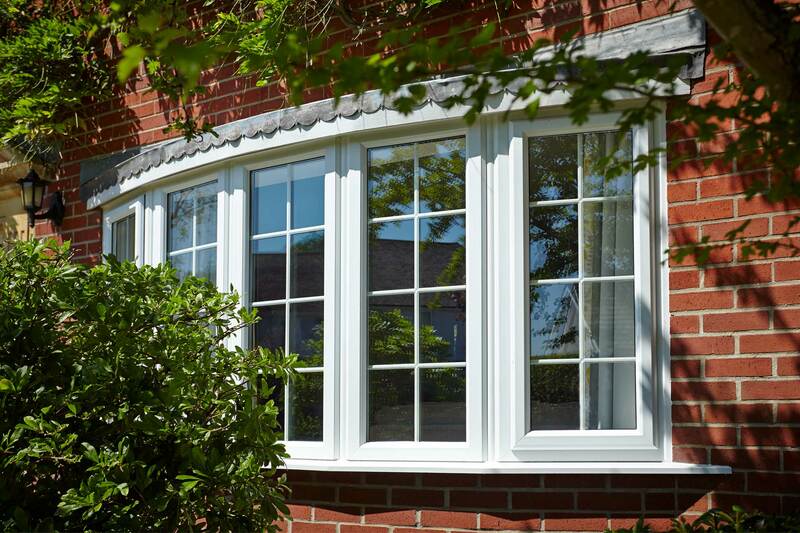 Our windows offer you a standard of quality that is achieved in a sustainable way. From beautiful woodgrain foils through to solid, standard colours, you can choose from a wide range of options to help customise your bow and bay windows to suit your home and your preferences. The woodgrain foils that we off have been designed to offer you a timber aesthetic without any of the maintenance setbacks. Whether you’re looking for something modern or something traditional, we can give you something perfect to suit. As an updated design, our bow and bay windows are able to avoid any of the lengthy maintenance headaches that come with the timber material. With this in mind, you won’t have to worry about any rotting, warping, cracking, discolouring, or bowing out of shape when the windows become wet or are exposed to the elements. This means that they won’t stick, and you won’t have to cut, sand, or repaint these windows to keep them looking at their best. You can get in touch with us via our online contact form to speak to a member of our team. We’ll be more than happy to answer any questions that you have, or you can get a price from us through this method should you prefer.